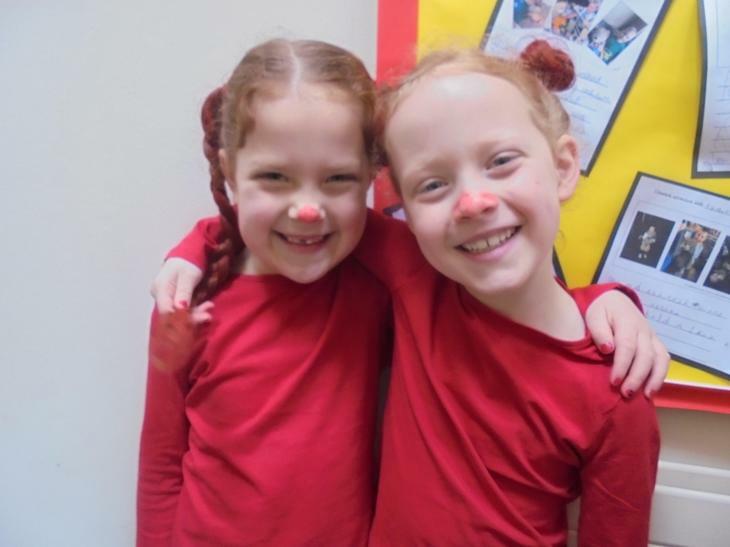 We had a fantastic day raising money for Comic Relief. 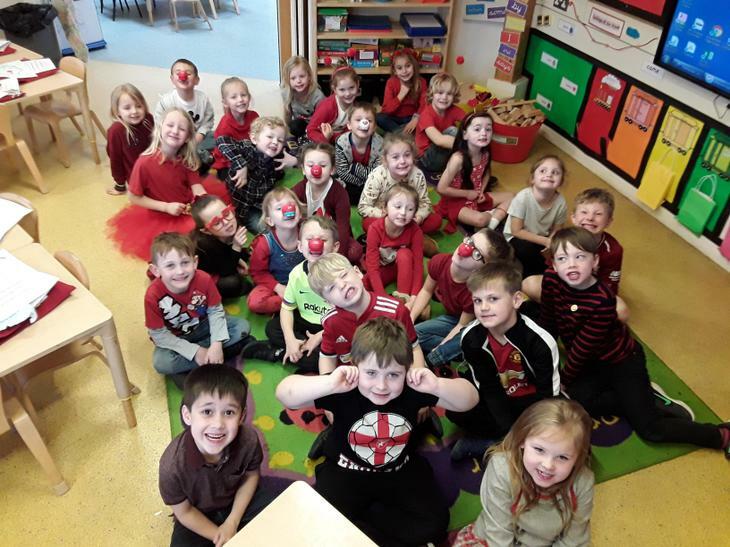 We dressed in red clothing and some of us wore red noses, silly hair, face paint and hats! We did some exciting activities including designing our own red noses.